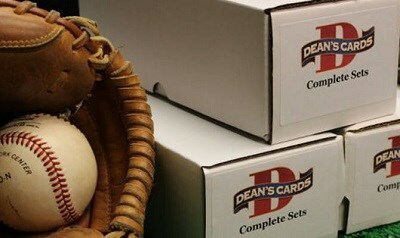 The 2004 Topps baseball card set includes 737 standard size cards that were issued in two separate series. The subsets for the 2004 Topps baseball cards include First Year Cards (297-326), Managers (268-296), Highlights (322-336), Future Stars (327-331), League Leaders (337-348), AL All-Stars (356-367), Post-Season Play (349-355), Draft Picks (668-687), Team Cards (638-667), Combo Cards (693-695), Prospects (688-692), Award Winners (714-718), Gold Gloves (696-713), NL All-Stars (719-729), and World Series highlights (730-733). The key rookie cards for this set include #324 Yadier Molina and #325 Zach Duke.